Brand Financial Training > AF4 > Ever heard of a Blind Trust? Ever heard of a Blind Trust? As far as our team can work out, a blind trust is only mentioned in J10 – the CII exam on Discretionary Investment Management. In fact, until we saw it in this manual, our very ‘long in the tooth’ team had barely heard of them. Secret trusts are mentioned in J02 but a blind trust? Not as far as we are aware. We did a little digging to find out more and we share our findings with you in this article – useful reading for those who are studying for their CII J10 exam. The J10 manual describes a blind trust as a type of bare trust used by clients such as politicians and business people who need to avoid the appearance of a conflict of interest as they have no say on the management or apparent idea what the investments held in the trust are. How interesting. We got straight onto the ‘world-wide-web’ and according to one source, 13 UK ministers have blind trusts in place. Further internet reports state that three former US presidents had at least one blind trust in place at some point, and more recent reports claim that the current US president’s business holdings will be placed into a blind trust with his eldest children in charge whilst he concentrates on his main job. It seems they do work and make sense, but the biggest problem seems to be the cost of setting one up (seems you might need to be really rich to find one useful!) and actually ensuring it is as blind as it’s claiming. Quoting from an article written a couple of years ago ‘often a wealthy person’s blind trust might be described at best as slightly myopic’. Which we suspect could have the type of repercussions trying to be avoided by the set up in the first place! If you’re studying for your CII J10 exam, and you’re wanting to answer the questions confidently on exam day, grab our free taster to try out one of Brand Financial Training’s resources for yourself. Click the link to download the J10 mock paper taster now! 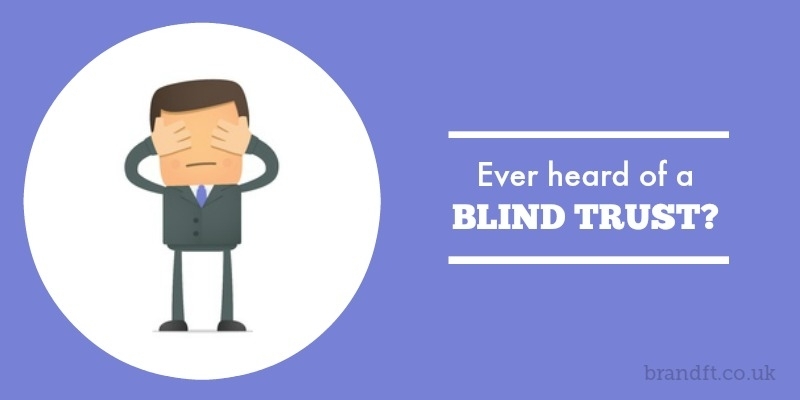 Tags:blind trust, the type of trust politicians use to avoid conflict of interest, who uses blind trusts?